Exchange 2007 Transition - free/busy ?
" Even though you still have legacy Outlook clients (Outlook 2003 and earlier) in your organization, you dont need to set up a replica for the SCHEDULE+ FREE BUSY or the OFFLINE ADDRESS BOOK system folder. 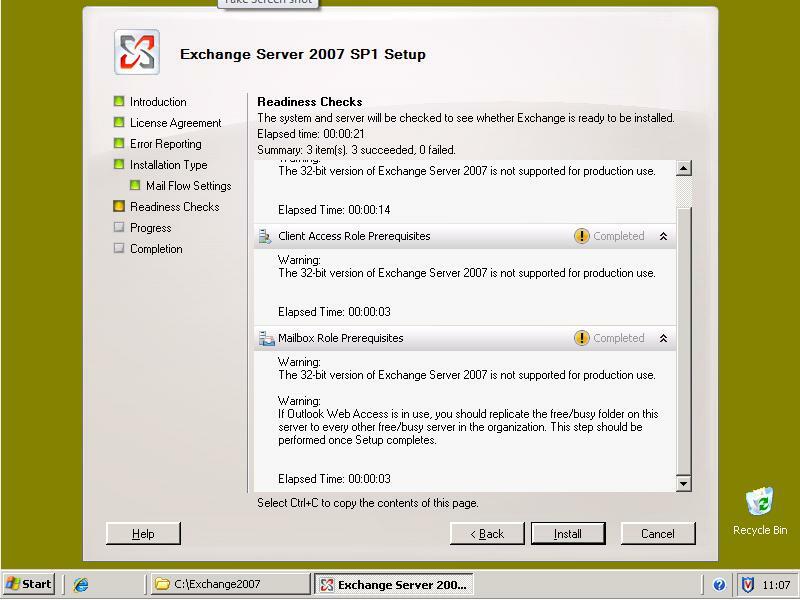 This will be done automatically when deploying an Exchange 2007 Server in a legacy Exchange organization. " So which is it? do I need to do anything - or will it do it for me? All other "user" public folders have been set up as replicas and are working. add the replica is somehting, and replicate the content is another. how is this done manually? you can do it from the EMC if you have SP1 installed. The bottom one is the original one and only has the Exchange2003 server in the first site? So do I need to manually add the replicas on the top one or the bottom one? and do I add a replica for every server that going to run OWA? you do that per server per site, beware the OWA server is located on the CAS and PF located on mailbox server.